We start the final chapter of season 5! In this chapter, we’re going to take care of a bit of networking polish. We want our ghost pointers to disappear when their users leave their browser windows. We also want touch-based drawing to show ghost pointers. 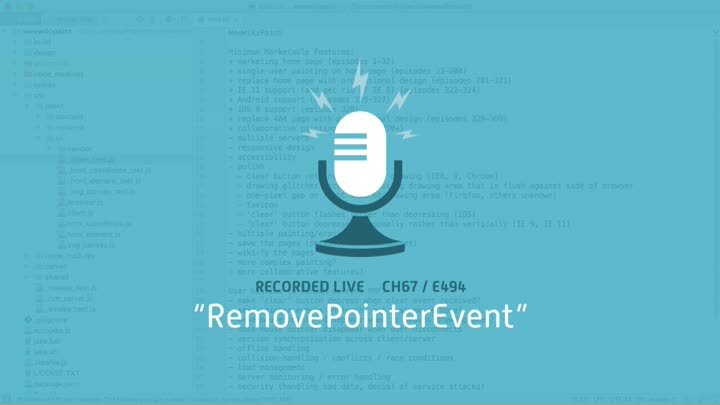 To start, we implement a pair of “remove pointer” events.